Ideal for slow-cooking large meals, the Calphalon Contemporary Nonstick 5-Quart Covered Dutch Oven offers generous capacity with exceptional durability. Made with heavy-gauge, hard-anodized aluminum to ensure even heating, this classic Dutch oven goes from stovetop to oven with ease while cooking roasts, chili, soups, and more. And unlike most hard-anodized cookware, this Dutch oven is dishwasher-safe. Calphalon Contemporary Nonstick 5-Quart Covered Dutch Oven is oven safe to 450 degrees Fahrenheit and backed by a lifetime warranty. This product is backed by a full lifetime warranty. Calphalon will replace any item found defective in material or workmanship when put to normal household use and cared for according to the instructions. To register your products, visit calphalon.com. 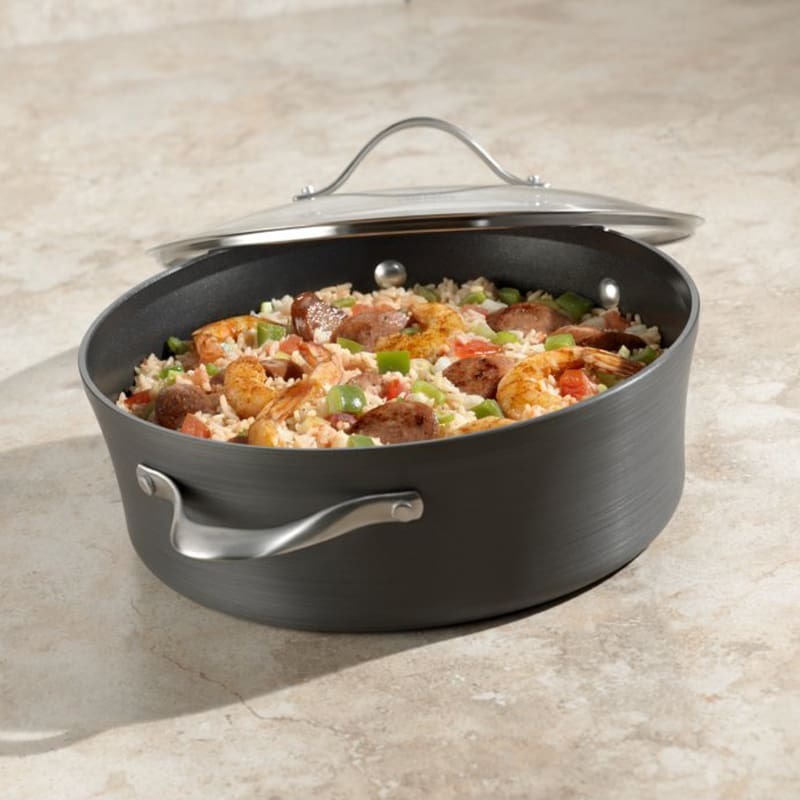 With its sleek, curving style, this nonstick Dutch oven lends an elegant aesthetic to your kitchen.